As the season of Lent draws to a close, it is time to stop and reflect on the importance of Easter in our Catholic tradition. Easter is a time of celebration and joy as we recall the resurrection of the Lord and celebrate our renewal of faith in the risen Lord. This joy experienced at Easter emerges from the assertion of God’s undying love, which was made visible through His son, Jesus Christ. We are reminded of the transformative power of God’s love in our lives and are reminded of His presence in all that we do. This conviction and faith in God provides great joy for us over the Easter season. As we move into the season of Easter, the 50 days from Easter Sunday to Pentecost, take time out to experience the joy of God’s presence in your life. I wish you all a safe, peaceful and enjoyable break. I hope that the joy of the Easter season renews and refreshes you. Celebrating St Joseph's Feast Day is important for the MSJ community. As the patron Saint for the Sisters of St Joseph of the Sacred Heart, St Joseph provides our students a model for living a life of virtue and courage. 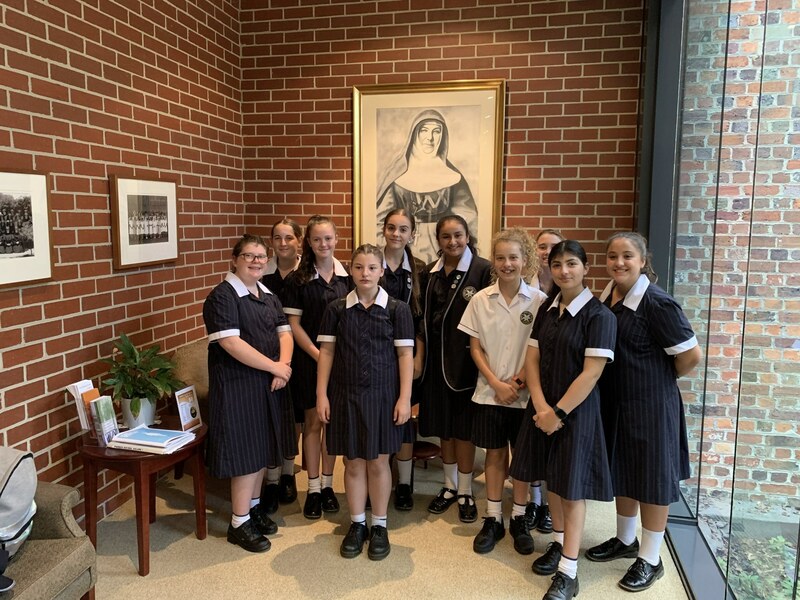 This year, a group of Year 7 students were lucky enough to celebrate this day with the Sisters at the Heritage Centre in East Melbourne. Gathering for the Eucharist in the same Chapel as Mary MacKillop would have prayed in many years ago is a special moment for our students. A highlight of the faith calendar at MSJ is the Stations of the Cross liturgy. Each year, students from across various sections of the College prepare contemporary reflections of each Station. This year, the scriptural stations introduced by Pope John Paul II in 1991 were used to deepen our community's understanding of this significant event. Youth in Action students recreated the story of Christ's last days using the scriptural basis of each station. The contemporary interpretations challenged students to think about how they could learn from Christ's life, his passion and his suffering. The greatest act of love. Challenging students to respond to issues such as homelessness, equal rights, religious freedom, living an honest life free from judgement. Most importantly, students were able to reflect on how they could Have virtue and courage in who they become. A big thank you to Lily Riggs from Year 12 who co-directed the performances, all students involved including performers, backstage crew, IT, and our student photographers.